Win big at our magazine relaunch party! Worldwide icon-chevron-right Asia icon-chevron-right Hong Kong icon-chevron-right Win big at our magazine relaunch party! 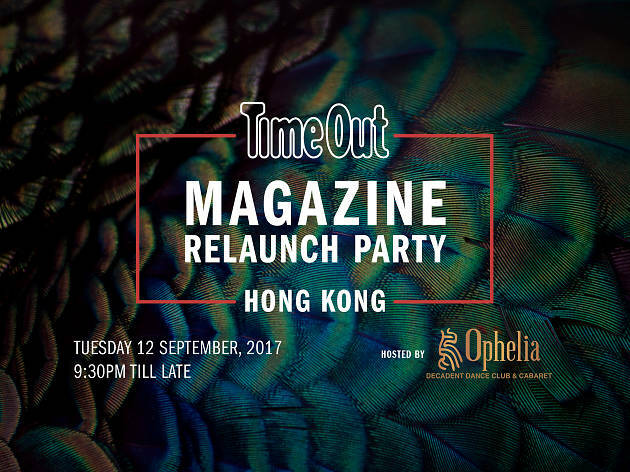 Time Out Hong Kong's magazine is returning to our city – and to celebrate we're inviting all our readers to join us at Ophelia on Tuesday September 12 for a massive relaunch party, with plenty of prizes to win on the night! 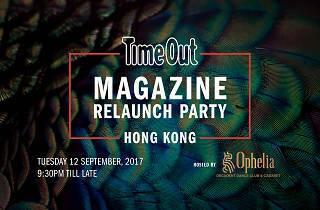 Your bible for everything events, food, music and culture – Time Out Hong Kong magazine – makes its glorious return on Wednesday September 13. It's free to pick up at MTR stations around the city, as well as hotels, flight lounges, offices, restaurants and other hotspots, from the New Territories to Stanley! A total of 150 readers who RSVP with us can come in and join the special night. And if you're not lucky enough to be one of our guests? We’ve also set up a waitlist system so even when we're full you could come still come along if anyone drops out, so get involved! Even if you don't make it on the night, Ophelia will contact anyone on the waiting list and offer them vouchers for complimentary drinks for another club night in the future. Win win! On the big party night, we’ve got some cracking prizes to give away. You can win one of two pairs of tickets to the OneRepublic gig at AsiaWorld-Expo on September 19, five vouchers worth $100 each for delicious healthy meal plan experts, Health Box, a magnum of Mumms champagne and, of course, there'll be a free copy of our new magazine for everyone who attends!